Two Single-Family Residences in a Former Ice Box. 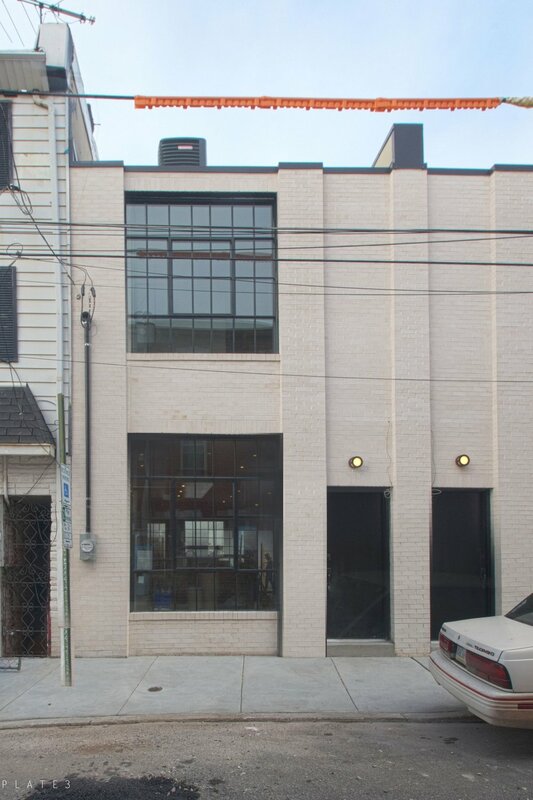 In the 1980’s, two former rowhouses were annexed to a beer distributor in Fishtown. The previous owner gutted the buildings and used them for refrigerated storage of case goods. This recent renovation project seeks to reassert domesticity into what has been essentially a refrigerator for the past 40 years. The original facades were beyond repair. New facades are added that maximize natural light, respond graciously to neighboring structures, and preserve the character of the street. Interior wall surfaces capture the many layers of history embedded in and adhered to the remaining structure. New interventions rely on a decidedly contemporary aesthetic to differentiate new from old. Each house is approximately 1,300 square feet, features two bedrooms/two bathrooms, and a roof deck. This project was completed in 2015 with Domani Developers.